Foil Studio|Foil Studio Pro ～ gold lettering, silver lettering, design printers ～ metallic coloring, hologram foil | Seed Industrial Designing Co., Ltd.
metallic coloring, hologram foil | Seed Industrial Designing Co., Ltd.
Foil Studio is a printer that prints metallic foil with heat transfer. 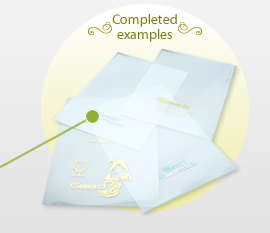 Thoughtful printed letters and designs can be delivered in a glittering message. 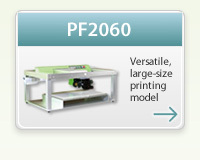 Printing dies are not used, and therefore ideal for printing small lots. No printing dies; print only the quantity you need, anytime you want. Connect to PC with a USB cable. Layout and print are easy with the application software. Print surfaces should be flat and have no depressions. 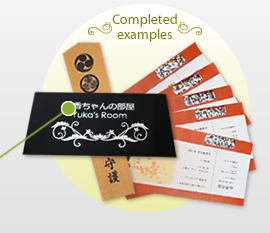 (*) Printing is not currently possible on material with rough surface such as Japanese paper (washi). 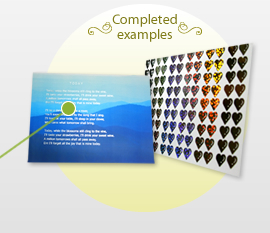 Printing is possible on real or artificial leather provided that the surface is smooth. The foil type used will differ depending on the material. Please consult with us (info1@seed-design.co.jp) to find out if our printers can handle your material. We can also do test prints if you send us your media samples. This space-saving, low-cost model supports metallic foil printing, hologram printing, and direct thermal printing, and boasts a printing range of 56.9×275mm. ＊By pressing the repeat button, printing can be performed repeatedly. Books, organizers, dictionary covers, doorplates and nameplates, circulars, invitations, clear files, etc. This model supports metallic foil and hologram printing on clear files. 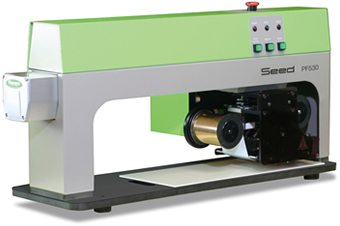 Auto sheet feeder makes automatic printing possible. ＊Installation space: 530(W)mm×412(D)mm. 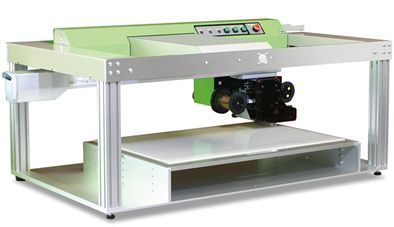 530(W)mm×730(D)mm of space is required if fitted with the auto sheet feeder. 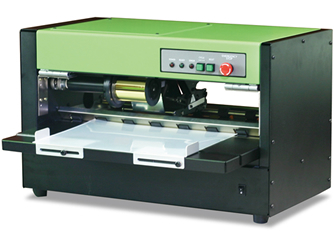 This large-size printing model supports metallic foil printing, hologram printing, and direct thermal printing, and boasts a printing range of 350×500 mm. The head moves automatically in the X and Y directions, enabling A3+ size (329×483 mm) printing in one go. ＊Tile formation can be created easily by the application software. Paper, clear files, silk screen gauze, etc. ＊There are some media on which printing is not possible. Please contact us for details. We can do test prints if you send us your media samples. Copyright© Seed Industrial Designing Co., Ltd. All Rights Reserved.